Dr. Cassano has over 30 years’ experience in Military Medicine, Occupational and Environmental Medicine, Undersea Medicine, and Radiation Health. She retired from the Navy as a Captain after 24 years of service. She was one of the first women to qualify for Submarine Dolphins in the Navy and the first woman, Officer in Charge of the Naval Undersea Medical Institute. After retiring Dr Cassano held both academic and hospital based positions in occupational medicine, building and refining many employee health and medical surveillance programs such as respiratory protection and blood-borne pathogen programs. She also provided preventive services, fitness for duty and workers’ compensation management to client companies. In 2009, she returned to government service and began working for the Department of Veterans Affairs as the Director of the Radiation and Physical Exposure Service; and Acting Chief Consultant for Environmental Health. In this capacity she management major programs related to Veterans disability such as Gulf War, Agent Orange; Camp Lejeune, SHAD and exposure to Hexavalent Chromium at Qarmat Ali, Iraq. She was the editor of the revised monograph; Caring for Gulf War Veterans, which changed the VA’s approach to Gulf War Veterans’ Illnesses. She later became the Senior Medical Advisor in the Office of Disability and Medical Assessment. In this capacity she provided medical oversight of VA’s clinical responsibilities for the Integrated Disability Evaluation Program (IDES) as well as routine Compensation and Pension examinations. She envisioned and established a unique program for providing scientifically based medical opinions for Veterans filing claims based upon exposure to contaminated drinking water at Camp Lejeune, NC. She left the VA to become the Program Director for Military Public Health Policy in the Office of the Secretary of Defense. Here her portfolio included accession medical standards, policy driven medical testing, and medical support for the IDES program. She was also responsible for spearheading DOD’s development of the joint DOD/VA separation health assessment program. She has provided numerous briefings to Members of Congress and has participated as an expert witness in several Congressional hearings. She has contributed to directives and other issuances regarding polytrauma, traumatic brain injury, post-traumatic stress disorder and military sexual trauma. 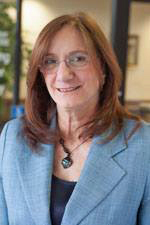 Dr. Cassano’s skills include policy and operational expertise in the areas of occupational medicine, environmental medicine, radiation health, disability evaluation, public health policy, independent medical evaluations, workers’ compensation, military medicine, chemical and biological weapons, hyperbaric medicine, diving and undersea medicine. She has numerous publications and presentations in these areas. She is a fellow of the American College of Occupational & Environmental Medicine and The American College of Preventive Medicine. In 2015 she was appointed to the National Academy of Sciences, National Research Council’s Committee on Toxicology. Known for her strategic and critical thinking, she is well regarded as a leader in public health and occupational medicine policy and planning, decisive writing and organizational development. Her expertise is in building, fixing, expanding and developing new programs and projects, whether they be for the federal government, industry or healthcare organizations. Dr. Cassano now devotes her time consulting to government agencies, hospitals, Veterans groups and industries regarding occupational health and safety, environmental health and preventive medicine. She continues to advocate for Veterans by providing expert medical opinions regarding service connection for Veterans exposed to a variety of combat, occupational and environmental hazards.